Right, that’s enough luxuriating over the result in Omagh. Another Ulster challenge awaits us this coming weekend, with Cavan heading to face us in Castlebar on Saturday evening. This match throws in under the lights at MacHale Park at 7pm that evening where Wicklow’s Anthony Nolan is the man with the whistle. We haven’t seen that much of the Breffni County in recent years. They were, though, in Division One two years ago and we ended up in a bit of a dogfight against relegation with them that year. Going into the final round it was either ourselves or them for the drop and while we ensured our survival by beating Donegal that day their loss against Roscommon meant they were doomed anyway. The reason we got ourselves into that pickle, though, was our unexpected loss to the Breffni men in Round 5. Cavan came to MacHale Park that day winless and had we beaten them we’d have pushed them closer to the drop while all but ensuring our own survival. We were, though, all over the shop that day and the visitors were full value for the two-point win they left with. Along with Roscommon, Cavan bounced back last spring and secured promotion back to the top tier at the first attempt. They contested the Division Two final against the Rossies, losing out to them in Croke Park in a mad, high-scoring shootout decider. Cavan’s championship run last summer was broadly similar to ours. A tough opening fixture in Ulster – against Donegal – meant an early exit from the provincial championship. Like us, they made it to Round 3 of the qualifiers where, on the same day we crashed and burned in Newbridge, they went out, losing to Tyrone in Enniskillen. Mattie McGleenan stood down as their manager after their championship exit and he was replaced for 2019 by Mickey Graham. Unusually, the new man is currently double-jobbing, as he’s still also bainisteoir of Mullinalaghta. The Longford club shot to fame before Christmas when their giant-killing exploits saw them crowned Leinster club champions and they’re now readying themselves for their All-Ireland semi-final meeting with Kerry’s Dr Crokes on Saturday week. The Cavan team Mickey Graham brings to Castlebar on Saturday evening is one that has yet to get off the mark in this League campaign. With two losses from two outings they find themselves rooted to the foot of the table, with just points difference keeping them ahead of Tyrone. That record shouldn’t, though, mean we’ll have it easy on Saturday night. Both of Cavan’s two defeats were close ones, as they lost a niggly clash away to Galway by 0-13 to 0-11 and then made a decent fist of things against up-and-coming Kerry at Breffni Park last Sunday. Cavan led until two minutes from time in that game – they were ahead by four at the break – but Peter Keane’s young charges overhauled them late on to win by 0-16 to 0-13. Cavan’s cause right now isn’t helped by the absence of their main main, Gearóid McKiernan, who’s not expected to be back from injury ahead of the start of this year’s championship. The big midfielder was the man who did most of the damage against us two years ago, including scoring the goal before half-time that brought them right back into it. In the Swanlinbar man’s absence, Cavan will be looking to the likes of Dara McVeety and Ciaran Brady to provide leadership. Cian Mackey, a player who made his Cavan debut in 2005, is back in the fold with them this year too. Given the two counties’ contrasting fortunes in the opening two rounds it doesn’t take a genius to figure out that we’re the favourites heading into Saturday night. The 1/4 price being quoted on us by Paddy Power does, though, feel a tad parsimonious, given how unpredictable matches at this time of year can often be. Speaking of predictions, let’s end this one with some soothsaying on your part – how do you reckon it’ll go for us on Saturday night? How will we do against Cavan? One thing about Cavan is they foul a lot in their own half, Sean O shea kicked something like 10 frees the last day so whoever is on place kicking for Mayo will be very important. Lads we all need to calm down a small bit . A couple of young lads played a few decent games. Of course they did they were trying to take their chance when they got it. We beat two fairly average teams and are fitter than most teams at this time of the year. I always get suspicious (and indeed angry) when Kerry and Dublin ‘experts’ start praising us. Horan is just in and it is a period of change, new players, new style and a new playing system. Give the guys a chance and lay off the childish ‘excitement building’ and the ‘Mayo for Sam’ crap. Give the players and the management team time. It is February. Few teams really care about the league. It is about experimenting and that includes opposition teams also experimenting. Tyrone without a sweeper. It wont happen again too often. Calm down. We’ve been badly out of the habit of playing well and winning in the league for the past few seasons. When was the last time we won our opening 2 matches never mind the (potentially) opening 3? Winning every game is I assume is what James Horan wants and he also expects players challenging for positions. Winning is a habit. Another strong performance and measured is needed. It doesn’t matter what’s pundits are saying, they get paid to spout gibberish! Cavan will make it hard, set up tight and pull and drag. Mayo by 3/4 and I’d expect a few changes to last week’s starting 15. Can see A few changes for Cavan game. Reape playing tonight in the Sigerson probably will be rested and Diskin brought back in. Can also see Mcloughlin coming in as well. We will have to wait and see. I was surprise Ger Cafferkey made the match day squad the last day. I think we have moved on from that option and is he really an option for coming off the bench when the game is in full tilt. Sinabuil, well said, people need to calm down and stop with the Mayo4sam bull white, it’s gone beyond embarrassing at this stage. Mayonews, Caff may not be first choice but we still need cover for the position and no harm having some experience on the bench. Just to answer your question, May13BG, 2012 was the last time we won our opening two games in the League. That, though, was the year when our Round 2 match with Dublin was abandoned due to fog at half-time and we looked in bother at that stage. We beat Laois in Round 1 and then beat Armagh before losing to Down. Prior to then you have to go back as far as 2006 to find a year where we started better. We won our first five Division One matches that year before the Dubs eventually put a halt to our gallop, banging four goals past us at Parnell Park. We lost to Galway in the League semi-final that year. As Mayomessi suggested above, I can see Reape/Coen/Durcan maybe only playing a substitute role for this one with Sigerson commitments and from playing previous two league games so far, hence why I’ve put Ruane in due to him only having only few mins of a run out the last day so could prob do with a few games regardless of whether or not he plays today, O’Connor looked to have shipped a knock coming off the last day. I’d throw McLoughlin into the corner for this one, has done well here previously, and give Loftus a run out at CHF. Fairly strong bench with likes of Boyler, Boland, Doherty, Crowe, Drake, Vaughan, SOS to come in if needs be. Hoping we can win this with a bit to spare and can see Horan going full strength against Galway and Dublin to settle a few scores. Anyone got any timescale on Ryan O’Donoughue’s injury? Also find it a bit worrying that there hasn’t been much update on Parsons injury for quite a while, would love to see him back, even if only as an impact sub but hard to see him back to being the player of old. I would say that this was a match any grounded Mayo supporter would have chalked two points up for Mayo at the start of the league. There’s no harm at all in salvating in our success in the league so far after the doom and gloom that permeated into the molecules of Mayo pores following last years disasters. Let’s see how we get on as the league progresses. We should win handy enough next weekend, no disrespect to Cavan. Hope to see Hanely get some league time. Just a typing error ,its on at 7:00 pm on Saturday evening. We need not be experiment too much for this one, as the points would probably mean survival in Div. 1. The team v Tyrone should be starting with maybe the exception of Reape . that the Tyrone player hit in an off the ball incident. was evident the last day and put this one to bed. I don’t think anyone is getting over excited. But green shoots of recovery is something we can be positive about. Youngsters playing well when we were told by many posters that there was no talent in the county! The future is bright and we will be back dining at top table in the near future. I did wonder how Reape would cope combining with other players and he is a slick mover of the ball. Improvement in his tackling and he’s got it made. Fionn McDonagh has been outstanding for Westport for quite some time, he will be marked much closer on Saturday. Indiscipline still an issue with Keegan and Boyle living on the edge. Competitive in every game is all mayo fans are asking for at this stage and we are getting that! I actually think this will be a tougher game than Tyrone. Could be low scoring. Where are people seeing all this over excitement I keep hearing about?. Every second post on here seems to be telling people to stop getting excited. Granted people were a little elated having beaten Tyrone – who I know were poor – by 9 points in Omagh. That’s fair enough and a good showing from the youngsters is something to be pleased about. But I’m seeing a ton of posts here telling people to dampen excitement that I’m not really seeing anywhere?. Thanks, Taigho – Sunday evening matches would be a new development alright! I’ve corrected that now in the post, grateful for the heads-up on the error. As a few are looking at team options, I’ll throw my tuppance worth in as well. James seems to be trying out a few different lads in each game, changes are to be expected. Having Coen, Durcan and Reape involved in Sigerson might mean these 3 lads get action from the middle of the second half. So from the top. I expect Robbie to continue in goals, but David Drake or Caolan Crowe could come in to change the full line. Possibly Coen stepping out. In the half backs, Boyler could come back in or McCormack, for Durcan. If both are fit, I expect Diarmuid and Donie to hold on to the Nos 8 and 9 shirts. If Diarmuid is rested, Matthew Ruane might start. Aido will be No 11, but who will take the 10 and 12 shirts. Fionn McDonagh, Fergal Boland, Ciaran Treacy, Jason Doherty and Kevin Mc are all in contention. I expect Fionn McDonagh to be at No 10 and maybe Jason at 12. At 13 I would think that Diskin might get a run with Andy at 14 and Evan Regan in the corner, thereby resting Brian Reape. Excitement. I take on board what other commentators have been saying here. It appears most of the building up of Mayo is from outside the county. Don’t be fooled by it. I have always found that the best way is modesty. Underplay your own ability when in public whilst knowing within yourself that you are good enough. No point in saying how good you are. You say nothing but deep down you believe it. Also praise your opposition whilst deep down retain a deep hatred of them and I mean hatred!. Don’t forget they are standing in the way of you achieving what you need to achieve. I dont think anyone is getting over excited. We are all too long in the game for that. Still we were all looking for new blood and thus far it seems like some of the guys are looking like they could be the real deal. 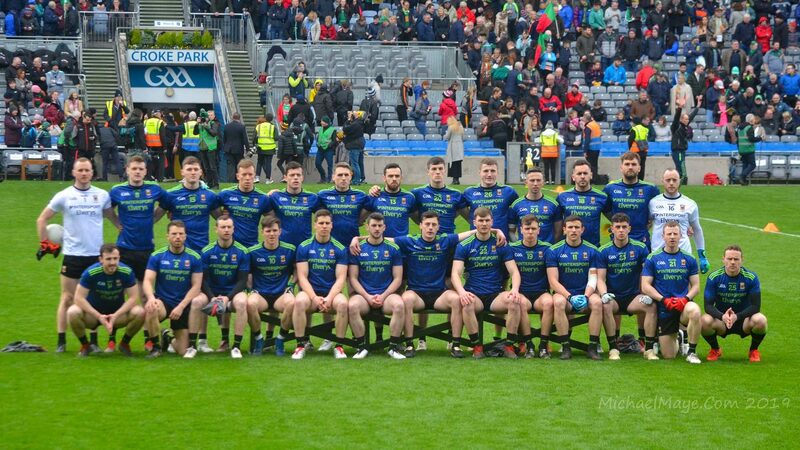 Also some of the guys we thought might be coming towards the end are looking like debutants we have a new manager who has always been able to develop players so we have to be positive and yeah enjoy the rollercoaster of being a Mayo fan and remember on even the worst days we dont want to be from anywhere else! Agree with Sinabhuil. Thats how I play it in work and public alright. Big up everyone but Mayo, been at it for years. The quieter we can tip along the better imo. This is fairly cliche, but this Cavan match is the biggest of the year so far. Its a far bigger game than Tyrone, (which was a free shot) that we duly took. Win this and we’re almost guraunteed survival, and Cavan will be all but relegated. I’d be playing the strongest team possible and pick up 2 vital points. If we do win, id start all new panel members and fringe players in next couple of games. Keegan/boyle/doherty/vaughan/aido etc have nothing to learn in playing the dubs in february, but plunkett, Diskin, Reape, McDonagh, Treacy, Ruane etc will learn so much playing the dubs in croker. Secure our div 1 status then blood as many young bucks as possible. Let Kerry or Dublin win the league and have the country talking about them. Let us just tip along quietly into the championship and see how we go. great to see the Emoji activated WJ…sometimes our jokes are taken as serious lingo? UCD vs DCU in the Sigerson is starting shortly and is being streamed on YouTube. Stephen Coen, Matty Ruane, Shairoze Akram and Brian Reape are all starting. HQ are telling us the gate is down 18% despite having seven more games played in the 2018 championship and average game attendance down a whopping 31%. The boss says not having Mayo in the final stages didn’t help either. And me broke by the start of winter the last six years. Anyway, all deets are on RTE website. I think this one could be a banana skin. Team fighting for survival + pitch we’re not the best on + godawful defensive football = a dangerous combination. I’ve gone for the draw but I wouldn’t be surprised if we slipped up. I agree with dreamysleepynightysnoozysnooze that it’s likely to be low scoring. Haven’t checked the weather yet but assume there will be waterproofs needed! I have to ask – why is it so bad to enjoy the good days and have a bit of craic? As seriously as we take it it’s only a flipping game at the end of the day, if you can’t enjoy it and smell the roses on the sunny days, what is the point of it all? Pat sums it up nicely there about the positive signs – I think the signs of green shoots should be welcomed after last summer. I don’t think anyone is losing the run of themselves after two games, the latter against a team which looked at times like it could barely have been arsed showing up. Anyway, the Mayo for Sam stuff (which is surely just a bit of craic for god’s sake) shows many Mayo people don’t take themselves too seriously after all our apparent misfortunes. It’s mostly used with irony these days (or by people who probably aren’t die-hards, who also have their place on this journey) but I think it’s a sign of optimism/resilience, neither of which strike me as particularly negative qualities. Dunno why it irritates people so much, it’s not harming anyone. link. Jeez ………. were we down after that one? Everyone commenting thought we were for the drop. I am now laughing to myself when I think of all the highs and lows of the last eight years or so. Ruane score one long range point and is showing up well, Akram putting in alot of work bothsides of the pitch yellow carded in the 18 minute. Coen playing midfield for UCD, felt DCU had the better of them but the UCD forwards are cutting thru the DCU backs for fun. Myler, McCarthy o Callaghan and o Carroll showing up well. Reape finding it hard to get into the game. I actually don’t think Mayo supporters act half confident enough to be honest. Maybe if we did we would have a few all Ireland’s these past few years. Our lack of confidence/fear prob permeates onto the field at times. I don’t know why we can’t enjoy the good times in whatever way we want. Life is too short. Could be gone tomorrow. Up Mayo. 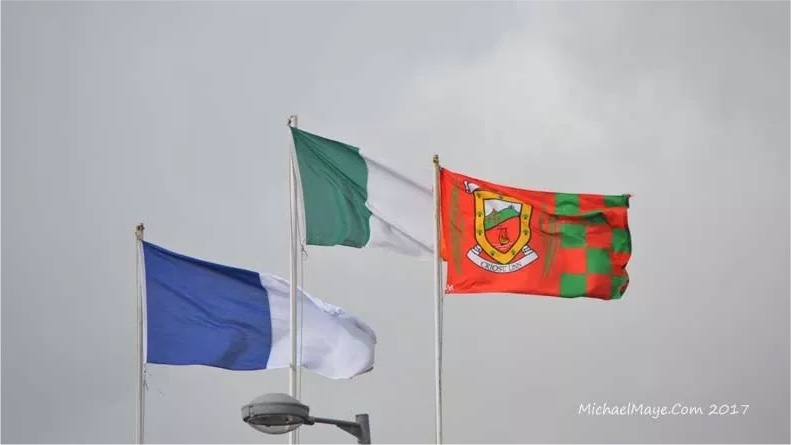 Mayo for Alliance League 2019. Mayo for Sam 2019. Why not go for the lot and do it for once?! We have had/still have the players but maybe we are all not half cocky enough. Just to note Matthew Ruane midfield partner tonight played Full forward for Cavan against Kerry Tomas Galligan, Cavan centre half Forward against Kerry was Dara Mc Veety he was supposed to play at CHB tonight for DCU but was injured, Pierre Smith played RHF is also on the bench for DCU. Cavan must win on Saturday to have any hope of staying in Division 1. They will attack from start and put Mayo on backfoot a good test to see how we react to a team playing for their survival. Expect the game on Saturday night to be a low scoring tetchy affair. We may just squeeze past Cavan if our players are fully tuned in for it. Two years ago we got caught out badly with some poor shooting, lateral hand passing and some quick Cavan counter attacking play. Hopefully Horan will have our lads better prepared. No doubt Horan will have his side fully focussed for Saturday. Important we restore our reputation when playing at home. I would like to see more log plunkett, reads a game well and progressing nicely. Sigerson guys could do with a rest. Eventually McDonagh will make a fine no 11. Slick solo runner to good feet and pace to punish. One things for sure we will be competitive. Weather forecast looks decent. Just watched the club draw there and we got the exact same group apart from Wesport instead of Ballaghadreen!! This is the fourth year in a row we are drawn with Mitchells and we were drawn against the exact same teams in 2016 & 2017 and nearly the same in 2018 & 2019!!! They really need to do away with seeding any teams apart from the 4 county semi finalists as the group stage will beyond mundane in terms of excitement with another couple of years of this!!!! In terms of getting over excited it’s more to do with the prospect of competent footballers coming through. This time last under the old management there was no sign of any new players getting a chance. However, Horan has 6-7 newbies all of whom appear up to standard. So, excitement or getting carried away is harsh. This excitement, is the optimism these new recruits have brought. It will be interesting to see how some of these guys cope with the close quarter stuff a.k.a dark arts. I strongly suspect Cavan will test the surface Saturday evening with some of the young. I wonder what the odds on a draw is might be worth a cent. Mayo players that featured for teams in the Sigerson quarter finals tonite.UCD beating DCU well and hot favourites to win it out and NUIG defeating UUJ by a point. Can see Ruane getting game time on saturday,thought he had a great 2nd half tonight. Coen looked impressive as well,very intelligent player, and covered lots of ground, I’m afraid the other Mayo boys failed to shine this evening. Another 3 points for Paddy Durcan tonight looking at the reports. He’s such a prolific scorer. Coen and Ruane looked good at midfield in the other game. This is exactly the type of match we need right now, following a great start to the League with 4 points from our opening two matches have supporters sitting up and taking note. The Roscommon match was more like Mayo in recent times with us hanging on at the death and we could live with that, but last Sunday was different, coming away from Omagh having put Tyrone to the sword was more than we could have hoped for – add to that the performances from our newbies and it’s easy to see why there’s a bit of excitement in the air. Cavan will be no pushover that’s for sure and we can expect a much tougher test. A lot of things went our way the last day with Tyrone giving us the freedom of the park but it will be interesting to see how we deal with the tight marking that we can expect from a team fighting for division 1 survival. A seven o’clock kick off on Saturday evening under lights should generate a great atmosphere and even though MacHale Park is not the fortress we would like it to be, it will give us a better understanding of where the team is at and maybe a window into the year ahead. In fairness the conditions between UCD and DCU were terrible, heavy rain and wind however Matty Ruane gave his all for DCU and had a good game, Coen played very well and dictated a lot of the DCU play, both were stand out players in hard conditions. Brian Reape scored 4 frees and was obviously earmarked as a goal threat and was well marshelled throughout the game and was hard to judge him as was double marked throughout. UCD have some class players and will be hot favorites to win it out. Tyrone’s Myler was well talked up before the match but was inocuous and subbed. Overall good game in tough conditions with solid displays from Ruane and Coen, would like to see Ruane get a couple of games in the league, has great engine and keeps going. If they’re keeping score, you might as well win. I have no illusions about what these games mean in the grand scheme of things but I won’t apologize for getting excited after last year. After getting my request to see Plunkett get time last week — he was excellent btw — I think it’s a great game to see if Drake has what it takes. Time for him to start => sink or swim. Let’s find out. really looking forward to attending my first game of the season on Sat and getting to see some of the new faces up close. Regardless of whether people are getting giddy or not, its refreshing to see young guys playing with a freedom to make their mark when giving the opportunity, and that’s not something we have seen too much of in recent years. I for one am leaning in to the positivity, it is after all 7 years since we were here least, being two from two in the league. Its going to be really interesting to see how we fare against a full blanket deployment by a team who are fighting for their lives and will be going all out to win. The game may well be a dour affair, but its the perfect test for us at this juncture. Mayo by 4! So I presume we wont see Stephen, Brian or Paddy D this weekend then? I think we’ll see a few more surprises from MY on Saturday evening. I can see the drake getting another chance in the corner and Mattie Ruane giving Vaughan a breather. Brian Reape will also be rested with. Darren Coen his chance at full forward. Could also see Kevin Mc getting a run at the expense of Treacy. Now that the Sigerson games are out of the way James should have a better idea who’s available to him. The Team could be named tonight or at the latest tomorrow as Saturday is coming around fast. Have I said it before that i love the league and the way the games come thick and fast? Probably a half dozen times at this stage. Anne-Marie, you beat me to it – I was just about to post banana skin game this one. Cavan are no mugs and Graham has a good track record. McKiernan is absent, thank God. He destroyed us last time out, our own complacency was another factor. They are pointless which makes them dangerous. We have to be very focused, particularly if we go into a lead. Last Sunday was good in that we built on what we had done in the first half, but Tyrone won a lot of ball and mounted many attacks. Greater accuracy from them, could have seen a much tighter game. Other posters have pointed to the number of frees Kerry got – and scored. Memo to James – right sided kicker please, which probably means a slot for Evan Regan. We should be laying down a marker this weekend against Cavan at home. We have a better team and will be playing in front of a massive home crowd. We should go out and boss them from the start and not fall into the trap of giving them too much respect. Cut out the lateral hand passing from the start and use the mark if they persist with the blanket. Any word on injuries to Cillian, Tom and Seamy? Yes stating the obvious this is a must win game. Horan should stick to his tried and tested along with his on form debutants ie plunkutt, mcdonagh and reape. I have a feeling there may be only 1 or 2 changes from Tyrone outside of enforced changes for injury. Free taking is always important but even more so in the national league when scores are harder to get and the conditions can be difficult. J. Doc and E. Regan should be able to get us over the line in this regard. Mayo to win by 2. They talk about Michael Plunkett’s role the last day and how good his distribution was. From 30 possessions he had 14 successful footpasses, 15 successful handpasses and one wide in the first half. Good days work by Plunkett. Glad it didn’t go unnoticed particularly 100? record with foot passes. Could be a replacement for mcloughlin eventually but his game has gone up a notch with Horan. Good opportunity to rebuilt pour HOME reputation on Saturday night. Enough to ensure motivation and a large crowd of glass half full supporters should be enough to get us over the line. Weather is looking good also. Have to say I love that sort of statistical analysis Wideball. There are few sources for that sort of data, but Dontfoul’s blog – who I’ll state for the record I have no affiliation with other than a fascination for the detail and output, as well as Rob Carroll are both great producers of analysis. While one has to be a little careful with how the data is used, it can often put to bed subjective opinion such as “such and such is rubbish, sure he never contributes or scores” etc. Player can complete basic hand passes to look good statistically, often curbing inventive higher risk high reward play. I’d love to see how statistics panned out for Kieran McDonald. Statistics and damn lies. But complete foot passing has to be respected. Saturday’s team sees 5 changes from the one which started last Sunday’s win. Into the side come David Clarke, Ger Cafferkey, Matthew Ruane, Evan Regan and Colm Moran. Dropping out are Rob Hennelly, Brendan Harrison, Donal Vaughan, Ciaran Treacy & Brian Reape. All that means Colm Moran will be making his debut while 2016 All Ireland U21 winner Matthew Ruane will be making his first start in a Senior jersey having come off the bench late on last Sunday. The team is captained by Aidan O’Shea.